We’ve always dreamed of making friends with a unicorn, so when Bashful Unicorn asked to join us, we shook his soft hoof and welcomed him in! This gorgeous creamy fellow has a fab fluffy mane and tail, and is endlessly cuddly. 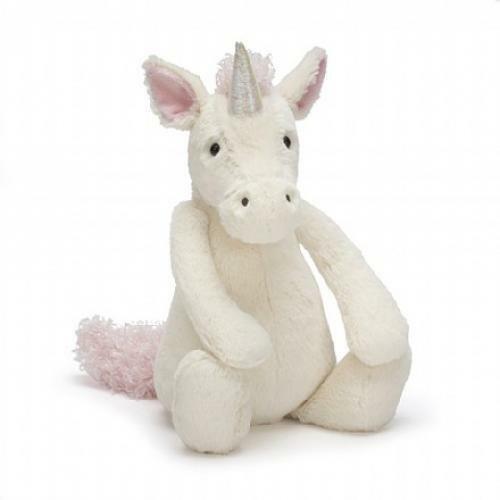 Even his beautiful silver horn is soft and squishy for merry, magical playtimes!